Through Baseball Rebellion Online Pitching Lessons, you have the ability to train with Baseball Rebellion's Head of Pitching Instruction Dave Shinskie. Dave is armed with the most current and proven baseball throwing information. From 6 years old to MLB, Baseball Rebellion's Online Pitching Lessons have helped hundreds master healthy and repeatable mechanics, all while maximizing their potential. At Baseball Rebellion, we believe in providing each client with an amazing customer experience. Hudl Technique allows clients to take videos on their mobile or tablet devices and share them instantly with their instructor. It's as easy as sending a text message! Important Note: Due to recent changes from Hudl, Hudl Technique is no longer available on Android devices. Please make sure you have either an iPhone or iPad to use the Hudl technique application. 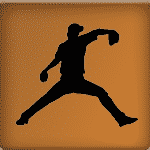 Baseball Rebellion's Pitching Lessons start with a full mechanical breakdown of each individuals throwing motion. This allows us to educate you on your mechanical pattern and the process on how we can enhance your delivery. <--- Watch a sample online evaluation! After your evaluation, your program will be designed specifically for you. Baseball Rebellion makes sure to assist you every step of the way. 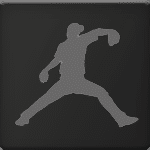 The Baseball Pitching Rebellions methodology allows you to train in any situation, with or without a mound, with or without throwing, and any location even inside.